The official beginning of the East Asia Library at the University of Washington can traced back to 1937, when the library received the first funding from the Rockefeller Foundation to purchase a small collection of Chinese literary works. During the 1940s, the holdings had increased to 20,800 volumes, including a gift of 2,000 volumes from Columbia University. Additional purchases were made possible through more grants from the Rockefeller Foundation. This modest collection, unnamed, uncataloged, and untended was shelved in the "Oriental Seminar Room" in Suzzallo Library and was available to faculty and students only by request. With the establishment of The Far Eastern Institute in 1946, the Oriental Seminar Room collection became the Far Eastern Library. Dr. Ruth Krader was appointed as the first curator of the Library in September 1947. In 1948, the library acquired the George Kerr collection, which formed the basis of its Japanese collection. A small number of Korean titles assembled during World War II for U.S. Army teaching purposes formed the beginning of the Korean collection. In 1950, the Far Eastern Library moved to the basement of Thomson Hall. In 1951, a Rockefeller Foundation grant enabled the library to purchase Japanese materials on China. The acquisition of the Joseph Rock and Herbert H. Gowen collections further enhanced the Library's holdings on China and Inner Asia. The 1960's saw the addition of the Helmut Wilhelm collection of Chinese classics and the Robert Paine collection of Japanese art materials. 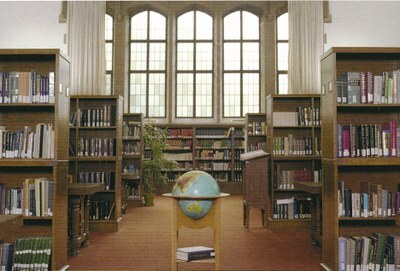 In 1976, the Library moved to its new home in Gowen Hall, where it has remained to present, and was renamed the East Asia Library. The collection continued to grow rapidly throughout the 1980's. Automation was also introduced during this period. Strong growth of the collection took place in the first half of the 1990's, especially in the acquisition of electronic resources about East Asia, both in online and CD-ROM formats. The library was the first institution outside China to acquire the Twenty-Five Dynastic Histories database and the first academic library in North America to establish a direct connection to the NACSIS-IR service in Japan. As of June 2017, the library has over 700,000 volumes of publications on East Asia in Chinese, Japanese, Korean, Tibetan, Manchurian, Mongolian, and other languages.